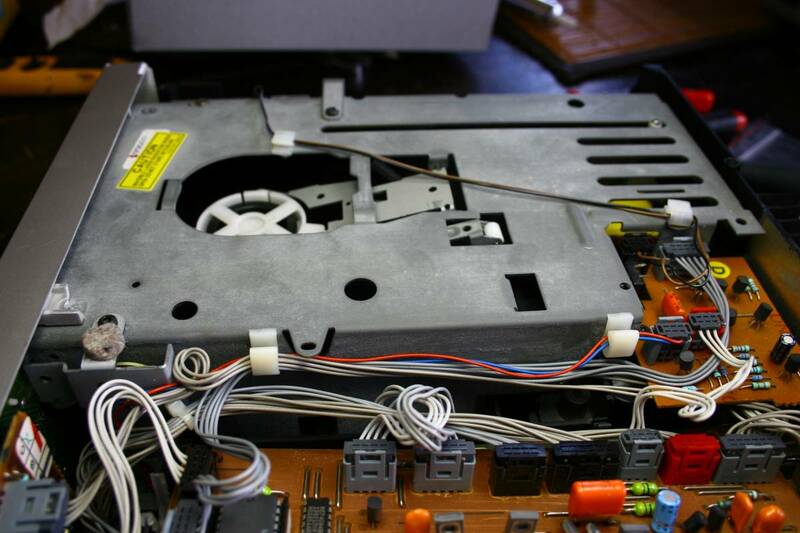 in this article I will look under the skirt of the small and funny CD player Philips CD104. - the DAC - Philips TDA1540, and the output stage. This must be one of the most popular CD players of all times. Kind of Volkswagen Golf so to speak. Its looks are deceiving. It looks like todays midi players from supermarket. Nothing could be more wrong ! This is not a toy, this is a damn serious player ladies and gentlemen. 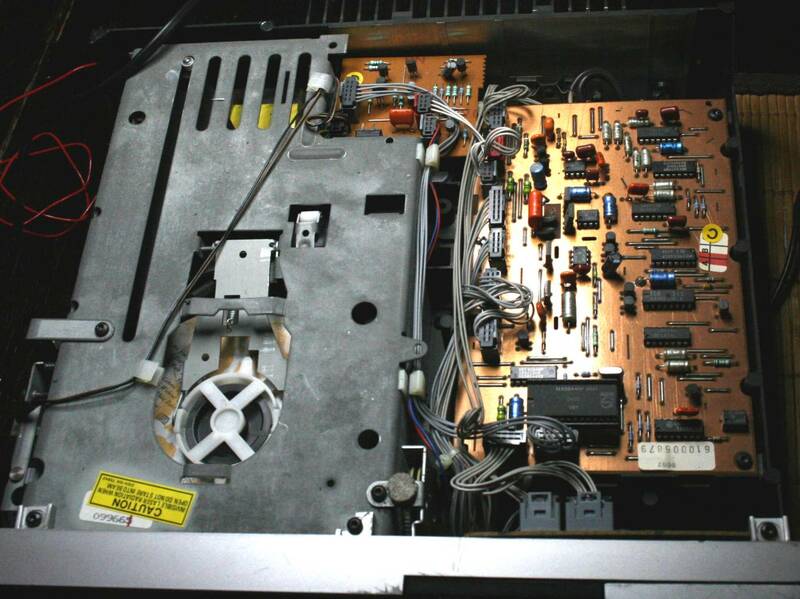 Compared side by side it is identical in every detai to a Revox 225. Same mechanism, same chips, same schematics. If you have one collecting dust somewhere - DONT EVER SELL IT. If you can buy one - DO IT. In this whole player absolutely NOTHING IS MADE OF PLASTIC. Not even tray, buttons, or chassis. The strongest point of Philips CD104 is its mechanism. This is probably the best Philips mechanism ever made, all cast metall, brushless motor, magnetic field swingarm - everything what the doctor ordered. I like this CDM1 more than the next CDM1 MK2, and definitely more than CDM2, CDM4 and the latest ones like VAM1250 and so on. There is only onemechanism in the whole world which can compete with Philips CDM1 and that is Sony kSS190A. Okay, maybe the Philips PRO series, maybe the sony BU1. Thats all. 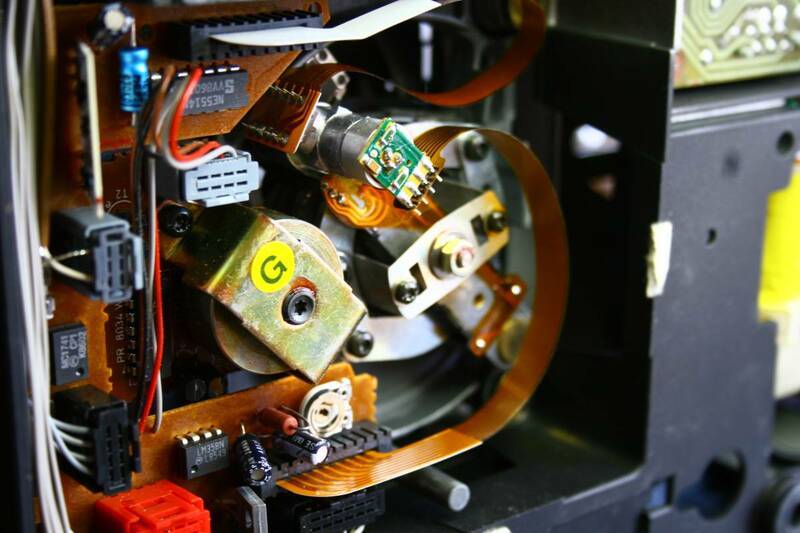 These mechanism have a tendency to live forever, laser is with double glass lenses and I never saw one die, unlike the lasers in CDM2 and CDM1MK2. The tray is full metall, the front moulding is all metall, this is state of art machine. IF ONLY IT COULD SERVE AS A TRANSPORT !!! Hey goldfish where the hell are you? Despite small size the player has big power section. The regulators all sit on the gigantic heatsing. 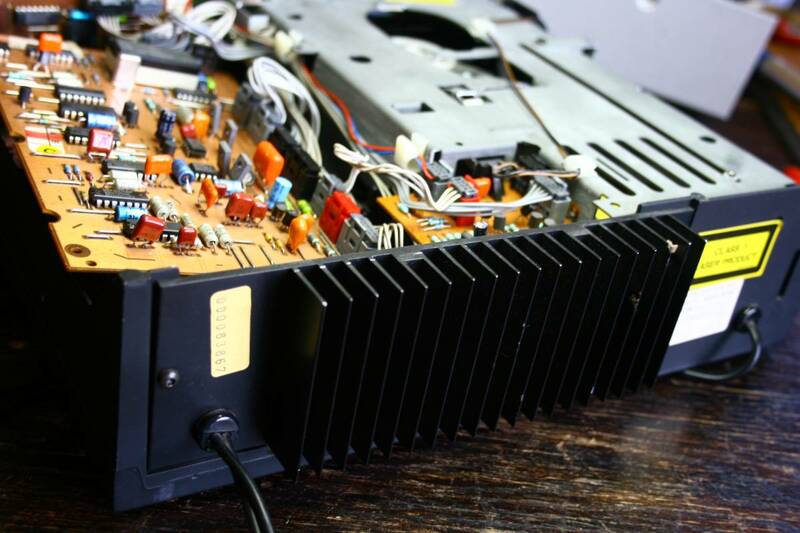 Probably the biggest heatsink on any CD player ever. Is it good or bad - I dunno. At least the regulators are temp. stable and will not burn. The down side like for all Philips older machines - and all marantzes too - is that the regulators are sooo bloody far apart from consumers (chips etc). The power runs for a quarter mile of cables and traces. I like much more the sony way - relulator half inch from consumer. 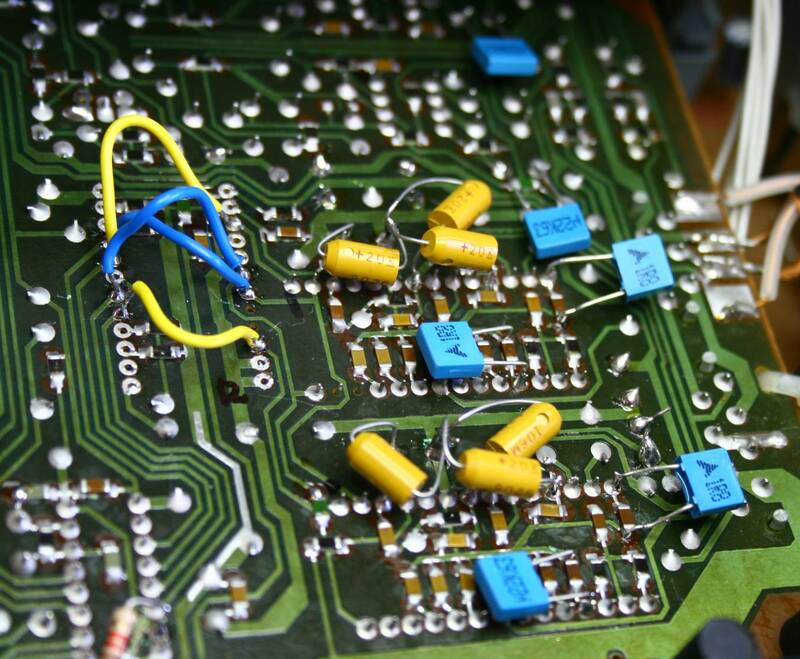 For this reason these Philips designs are very sensitive to power capacitor quality. Hence the need for oscons and blackgates. the DAC - Philips TDA1540, and the output stage. Anyway, we are dealing with a grandmother of the TDA1541 - the TDA1540. The datasheet reveals that this is almost identical chip although it is mono. It is very interesting to read about the working principle how the digits are translated into electrical signal - MUSIC. It is easier now to understand the role of the famous 14 decoupling caps. TDA 1540 differs from the TDA1541 also because it is MONO. One needed per channel. 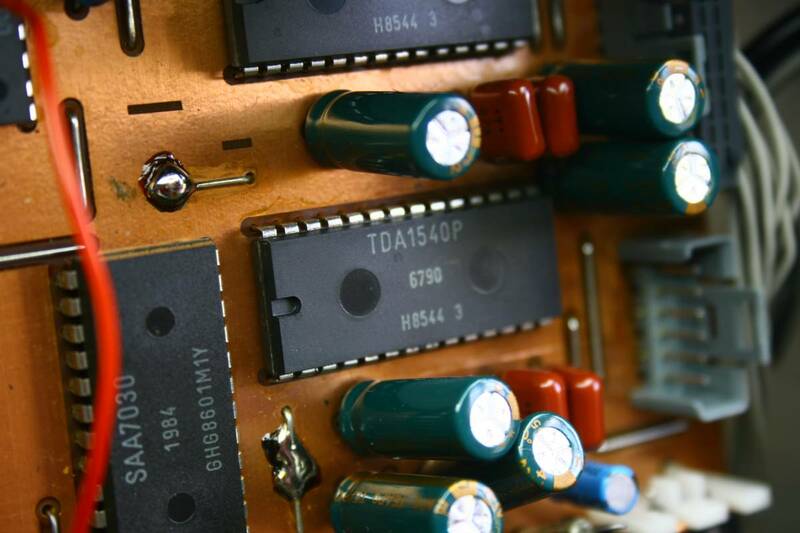 There are three power supplies : plus 5, minus 5 and minus 17 V. For both channels - 6 are needed. Each needs a good cap like os-con. As you see we need 6 caps for powering of TDA1540 - one for pin 4, one for pin 7 and one for pin 10. Observe polarity which is Plus5, minus5 and minus 17 respectively. I also added capacitors to decoupling , at least 3 for decoupling pins of each channel, two most significant byte pins already have bigger and better non-smd caps, so I added new caps to three next ones. All that is not counting the power to other chips on this board. For decoupling I used additional 220nF MKP per the legs having the SMD because the critical MSB (most significant bytes) legs already have a proper MKP caps not smd. 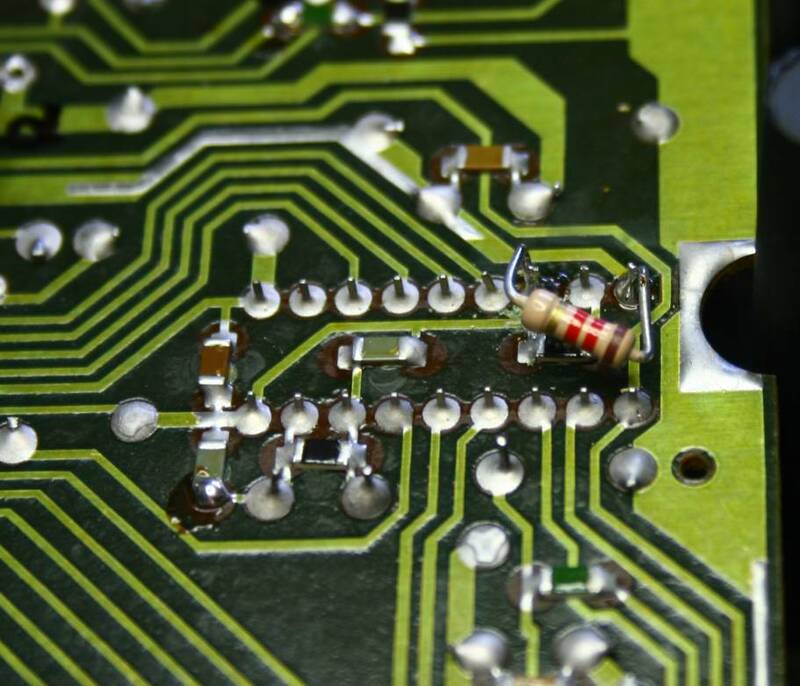 I repeated the well tried and proven scenario - to remove the saa7030 chip and solder 4 bridges. 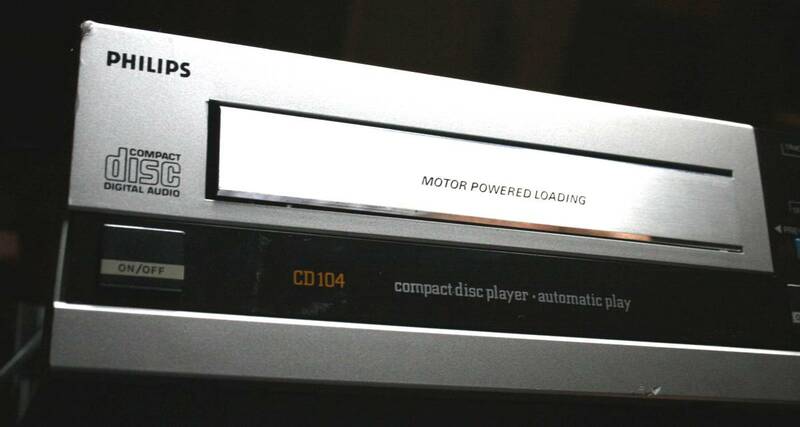 Listen to your CD104 the way the Philips engineers designed the CD player, before they were forced into messing up the sound with oversampling because of the "16 bit race". Non destructive, if you want to revert; remove 4 wires, solder TDA7030 back in place, remove resistor and re-solder SAA7000 pin 16. Sound improvement is VERY GOOD INDEED. I repeated this on Revox 225 and it was fantastic as well. Worked the first time. SAA7030 is on the way to the dustbin. Signal bridges already installed in place of SAA7030. 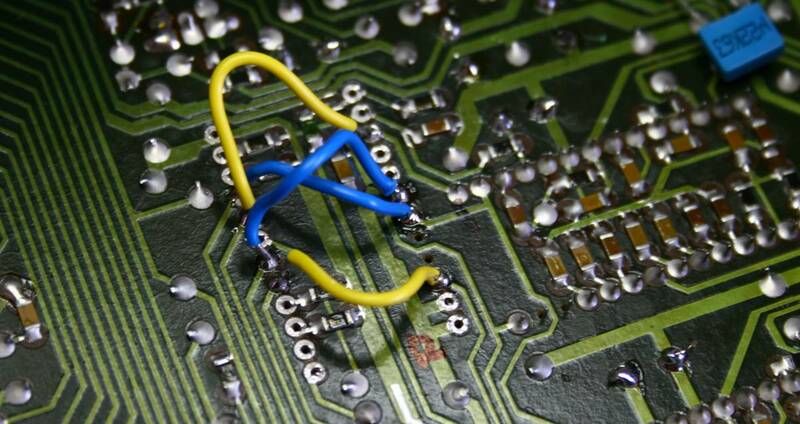 In fact a better way would be to trace the signal and connect the preceeding pins of the preceeding chip and bridge these points to TDA1540 directly. Just a shortcut bridge. This is the 1K resistor bringing the Pin 16th of saa7000 to be at 5V (leg 18 potential) to read correctly 14 bit words. General view. Lots of goodies in tight space. Lampizator for the 14 bit old player ? Crazy ? Sounds crazy but when I heard the CD104 with just NOS and all capacitor mods - it was so good that I did not believe my ears. It is too good to be true. You could stop here and just replace opamps with the Burr Brown OPA2604 or something equally good. But why stop - why no lampizator? 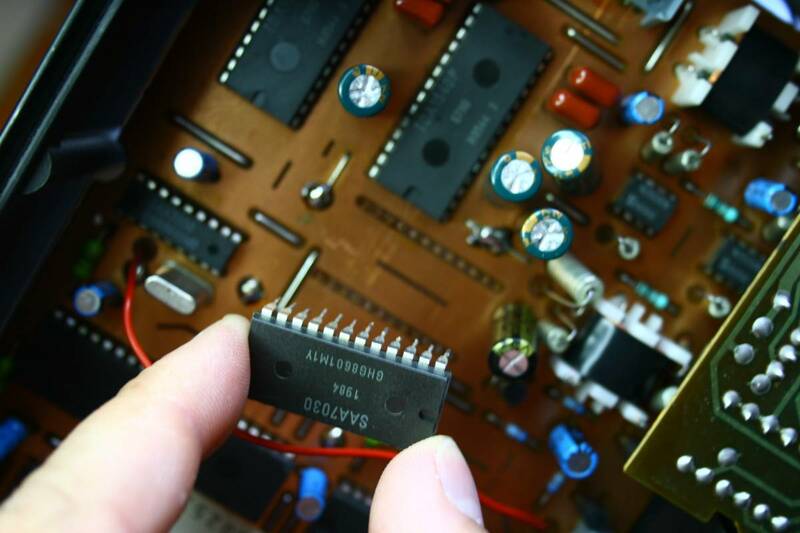 The superb mechanism and NOS mode compensate for the lost 2 bits of resolution. This player reaches very high. Almost to the level of its much younger cousin - Philips CD751 and 753. This player well deserves being treated seriously and getting proper lampizator. The big question is WHERE ?!?!? !